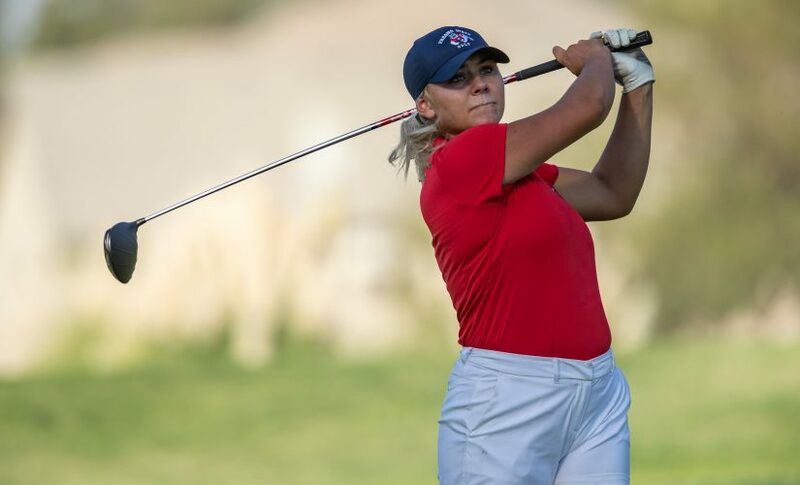 This past weekend, Fresno State sophomore Brigitte Thibault participated in the first two rounds of the inaugural Augusta National Women’s Amateur (ANWA) at the Champions Retreat Golf Club in Evans, Georgia, according to a Fresno State Athletics news release. Unfortunately for Thibault, she fell short of advancing to the next round as the field was narrowed down from 72 golfers to 30, shooting a 7-over-par 79 in her first round of action and a 3-over 75 in the second round, failing to compete for the first ANWA title. Thibault was one of 72 invitees from around the world to compete in the historic event and despite missing the cut, the Canadian sophomore still received the experience of playing at the Augusta National Golf Club, home of the historic Masters Tournament. Although her performance didn’t have the result that she hoped for, Thibault still relished the opportunity to be a part of a historic event. Thibault could hardly contain herself as she found out that she would still get the chance to play a round of golf on the historic Augusta golf course.